I usually try to assess games entirely on their own merits, but this review going to contain a lot of comparisons to The Banner Saga. There’s really no way around it, as Ash of Gods: Redemption mimics nearly every aspect of Stoic Studio’s Viking-imbued RPGs, including their dark fantasy tone, general story structure, rotoscoped 2D visuals, and unique tactical combat system. I’m not being accusatory when I say this — some of the makers of The Banner Saga have acknowledged and endorsed Ash of Gods, so if they’re not mad, I’m not mad. That said, the comparison is unavoidable. Ash of Gods: Redemption takes place in Terminus, a world on the verge of a vaguely-defined apocalypse called The Reaping, which is orchestrated by chalk-skinned demigods called, naturally enough, Reapers. While the world hasn’t ended quite yet, a deadly disease is spreading and regular people are being driven into a murderous rage by unseen forces. 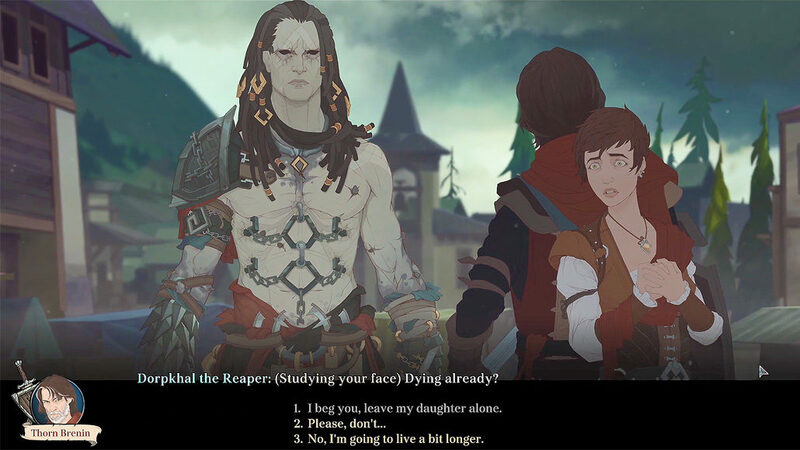 The narrative follows three groups led, respectively, by the jaded Thorn Brenin, a retired army captain (and spitting image of Banner Saga protagonist Rook) who’s on a mission to cure his blighted daughter, Hopper Rouley, a powerful immortal who has a history with the Reapers, and Lo Pheng, an assassin in the service of the corrupt and warlike Frisian empire. It’s not surprising the developers of Ash of Gods are from Russia and Eastern Europe, as the game’s world has a dark, twisted sensibility reminiscent of The Witcher series. Alas, it’s also clear English isn’t most of the developers’ first language. To be fair, Ash of Gods’ dialogue is mostly free of glaring grammatical errors, but the phrasing is often strange and hard to follow. I found myself having to read passages two or three times to really get the gist. It doesn’t help the game assaults you with a steady barrage of kooky fantasy character and place names it doesn’t bother to explain. The Banner Saga also dropped you into the middle of its world without a lot of establishing exposition, but at least that game usually provided a bit of background when introducing an important character or story element. Ash of Gods does not, and you’ll spend the first 10-or-so hours of the game lost in the dark. Eventually you may get a basic handle on what’s going on, but trust me, the game’s cryptic ending will send you for a loop all over again. 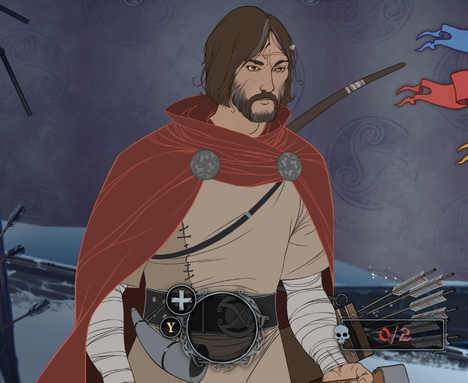 Ash of Gods attempts to one-up The Banner Saga’s branching interactive story, offering more decision points, some of which have severe consequences (almost everybody, even major characters, can die in this game). Sounds fine in theory, but the game provides very little context to base your decisions on and no way to track the outcome of your choices. For example, the gift you decide to buy your wife near the very beginning of the game will decide whether a completely unrelated character lives or dies several hours later. It doesn’t feel like there’s much point in trying to choose the smart or morally right/wrong answer when the outcomes are often so arbitrary. Ash of Gods’ devs claim this is an example of intentional “roguelike storytelling,” which is cute branding, but a tad disingenuous. Randomly-generated dungeons are fine, but randomizing storytelling just results in incoherence. At least the game’s Ralph-Bakshi-inspired visuals are nice. 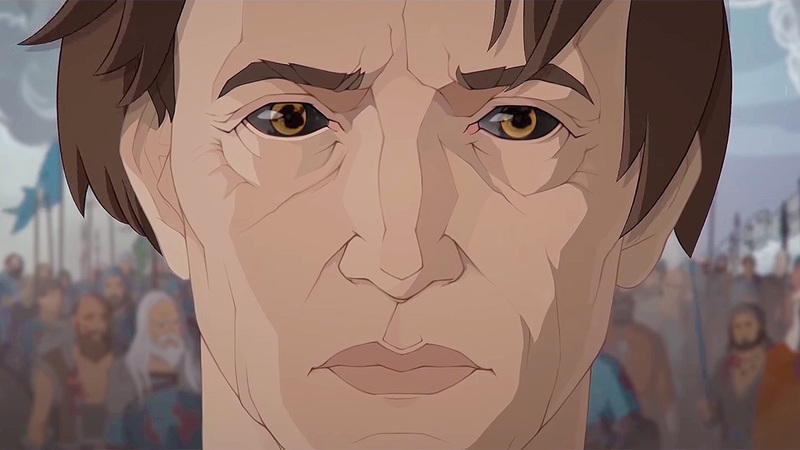 Ash of Gods is sometimes slightly lacking in style, but it boasts sharp character designs, fluid, brutal battle animations, and a handful of surprisingly epic cutscenes. The game’s soundtrack, from Witcher composers Adam Skorupa, Krzysztof Wierzynkiewicz, and Michal Cielecki, is even more impressive — its thundering drums, chants, and wails make Ash of Gods’ pokey turn-based battles feel more dramatic than they have any right to. From a presentation standpoint, you couldn’t ask for more from an $85,000 Kickstarter game. Ash of Gods’ battles are, like everything else in the game, nearly identical to The Banner Saga. After choosing a party of up to six characters, you take to a grid-based battlefield for turn-based combat. Characters come in several classes (basic swordsmen, tanks, archers, healers, and so on) and possess a variety of abilities that unlock as the turns pass. Kill the bad guys before they kill you – basic stuff. 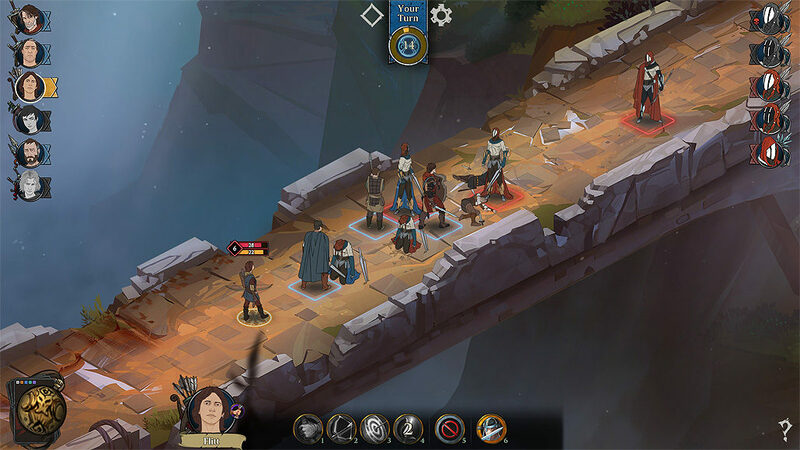 Unfortunately, Ash of Gods unthinkingly replicates some of The Banner Saga’s worst mechanics – your characters, annoyingly, block each other on the battlefield, and the turn system is a mess. You and your opponent take turns moving your fighters and you can only return to a character once everybody else on your team has moved. There’s no speed stat or Active Time Battle system that lets faster characters act more often. This means it’s actually a disadvantage to field a full team – you’re often better off sending only one or two strong characters into battle, as they’ll be able to get more attacks in and won’t get beaten up on when waiting for their turn. Ash of Gods exacerbates this exploit with its poorly-balanced roster (seriously, never use anybody but Lo Pheng during his chapters) and by removing Banner Saga’s “Pillage” mechanic, which lets you act more often once your opponent is down to one unit. Ash of Gods does tweak battles in a few small ways. Banner Saga’s armor and willpower (used for extra movement and activating abilities) stats are combined into the single “energy” stat. 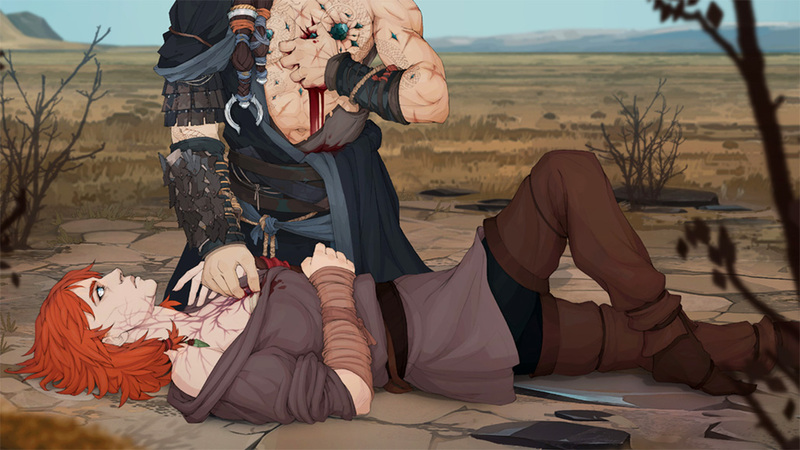 This simplifies things, and adds a new strategic layer – unlike Banner Saga, where you pretty much had to chip away an enemy’s armor before taking them down, you can directly attack your opponents’ health in Ash of Gods, but reducing their energy will make them more vulnerable and limit their ability use. It feels like a more meaningful choice. Ash of Gods also adds a card-based magic system, but it’s too simple to make much difference. 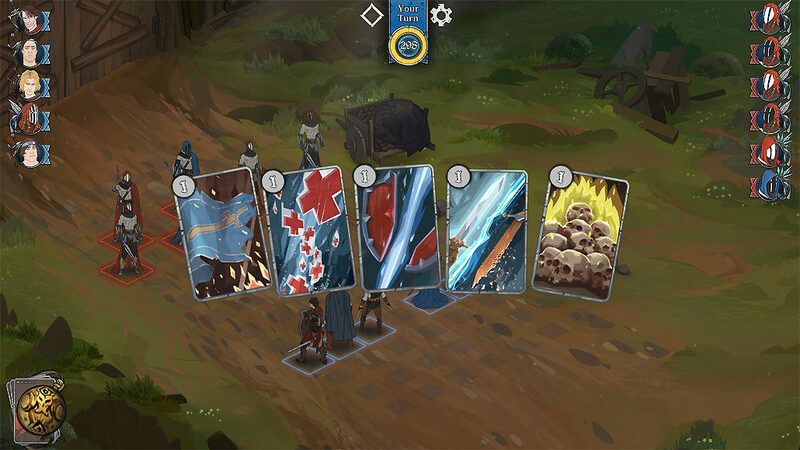 It feels like Ash of Gods’ developers wanted to add a bullet point to their game, but were afraid of breaking the Banner Saga formula by making the cards too powerful. Despite all the issues, Ash of Gods’ battles have their gratifying moments. The smooth animation and splashes of gore make scoring kills undeniably satisfying. Ultimately though, this is, in almost every aspect, a slightly paler version of a battle system that had its issues to begin with. Serviceable, but a far cry from truly great strategy RPG series like Fire Emblem or Final Fantasy Tactics. In between battles and story bits, you’ll have to deal with some light party management and survival elements. Thorn and Lo Pheng’s groups must ration “strixes,” which are consumed as you travel between map points and used to heal wounds inflicted by falling in battle (if a character gains more than four, they’ll die permanently). Meanwhile, as Hopper you have to occasionally choose between absorbing some of the darkness of The Reaping, lowering your stats, or resisting the curse, which raises the game’s difficulty level. Both mechanics are easy to deal with – battles dole out generous amounts of strixes, and you can manually adjust Ash of Gods’ difficulty at any time, so there’s no real consequence for Hopper resisting the curse. More mechanics that sound good, yet haven’t been properly thought out. At least Ash of Gods gives you a full game for your 25 bucks (unlike The Banner Saga, which is cut into episodic chunks). The game takes a solid 25 to 30 hours to finish, and there’s the potential for quite of a bit of replay given the game’s branching storyline and multiplayer skirmish mode. That said, I doubt most folks will bother with more than a single playthrough – I felt like Ash of Gods had pretty much burnt itself out by the time I got to the credits. This review was based on a PC copy of Ash of Gods: Redemption provided by publisher ArumDust. You can purchase the game via Fanatical. If you’re going to clone a unique, yet flawed game like The Banner Saga, it’s crucial that you significantly improve the experience in some way. Ash of Gods: Redemption doesn’t, replicating its inspiration’s problems, but not its singular vision. Ironically, folks who have never played The Banner Saga will get the most out of this glorified fangame – those who have will likely find Ash of Gods a gray, lifeless imitation. Why not just play The Banner Saga?